Rooms from $56.95 per night. 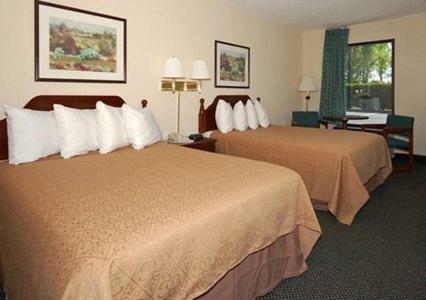 With easy highway access close to shopping and offering free Wi-Fi free continental breakfast an outdoor pool and a fitness center the pet-friendly Quality Inn Macon has the freebies and convenient location to get our guests' attention. Offering 100 rooms on two floors the Quality Inn welcomes the whole family GÇö including pets for an extra fee. In the morning enjoy a complimentary continental breakfast; then soak up the Georgia sun or take a dip in the seasonal outdoor pool. 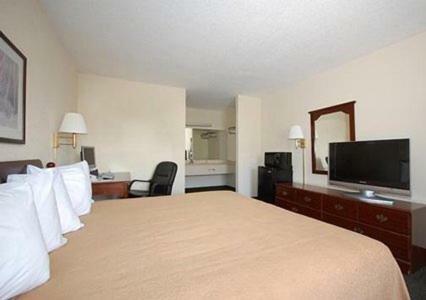 All comfortable and quiet rooms (non-smoking available) come with free local calls and newspapers microwaves and mini-fridges and cable TV including HBO and ESPN. An exercise room with cardio equipment and weights makes it easy to stay in shape while copy and fax services help out with business tasks. Parking with room for trucks and buses is free. Just off I-475 and close to restaurants colleges and shopping the Quality Inn is under five minutes from Macon Mall Eisenhower Crossing and Macon State College. Downtown Macon attractions are 15 minutes away. Middle Georgia Regional Airport is 12 miles from the hotel. 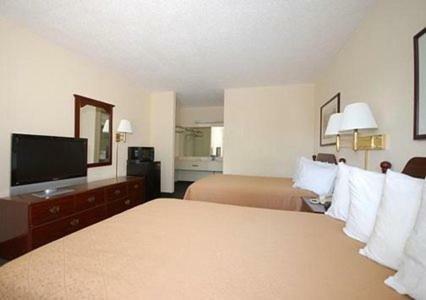 Add Quality Inn Macon to your free online travel itinerary.